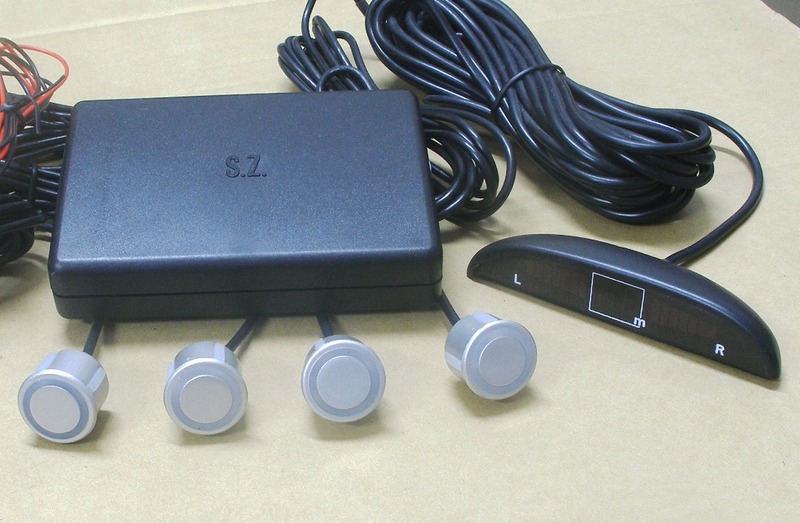 4 Insert-In type of the parking sensor, avoiding collision and ensure driving safety. Easy and comfortable for reversing anytime & anywhere. Super-wide detection angle prevents side impact & convenient for parking in garage. Up to 1.5m from detecting distance with LED Digital Display plus audio warning when closing to the obstacle. Using 4 sensors detection is out of blind area. DIY installation by simple drilling (no harm to original car wiring). Working voltage range: 9.6V to 16V. Power consumption: less than 0.5W. Variety sensor colors available.